It’s not like we need an excuse to travel, but with so many awesome events taking place in 2019, it’s tricky figuring out which places to prioritise. So what’s on the horizon? 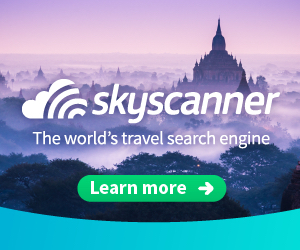 Here you’ll find Skyscanner’s list of recommended destinations for 2019 which cover chilled, challenging, and pretty much everything in between. You might struggle to find it on a map, but 2019 is going to be Plovdiv’s year. Crowned European City of Culture for 2019, this charming, ancient city will be hosting more than 300 events throughout the year, covering music, theatre and dance. Check out some original street art from the Berlin Wall to mark 30 years of the wall coming down or experience Homer’s Odyssey in a new production by the National Theatre of Greece. We also want to try “Paneurhythmics”, which aims to create harmony between body, mind and spirit through music, movement and meditation. Prefer romance to culture? Come back in spring and swap Paris with Plovdiv for a romantic escape with a difference. As American cities go, Atlanta is feeling pretty smug right now, being the host city for one of the biggest sporting events of the year, the Super Bowl. But if you’re not a fan of American football, don’t write the city off, as Atlanta has plenty going for it. Check out The Varsity – the world’s largest drive-in restaurant which has been a family run city institution since the 1920s. We recommend ordering a Heavy Weight, Ring One and an F.O. (that’s a hot dog with extra chili, onion rings and a frozen orange drink). Then head to the city’s most unusual bar, Sister Louisa’s Church of the Living Room and Ping Pong Emporium. Admire the kitsch decor, grab a $2 beer and dust off your ping pong skills or stop by on Wednesday nights for Church Organ Karaoke. Oh, and Atlanta is home to the world’s busiest airport, making it a convenient base for exploring the rest of the South, with cool Savannah and boisterous Nashville both just an hour away. There are plenty of cities that love to celebrate, and Tokyo is no different. Take St Patrick’s Day, for example, which always has a twist. For the last 25 years the city has hosted its own St Patrick’s Day parade alongside the “I Love Ireland Festival”, organised by the Irish Network Japan, and with more than 100,000 visitors joining in the festivities. But the party keeps on going long after March 17, at popular watering holes including An SÓLÁS, the best Irish bar in the city, loved by locals and expats, and where you’ll find traditional Irish music, fish and chips and the best poured pint of Guinness this side of Ireland. It’s also one for Team Ireland to check out after the 2020 Tokyo Olympics. If you get bored easily, try Lebanon. Start in Beirut. It’s a city of contrasts; old and new, a mix of Europe and the Middle East, a bustling city right on the water. The best way to see the city is by walking – not only will you discover the different neighbourhoods, you’ll also find all the best food, like baklava and manakish, which is a kind of pizza eaten on the go for the breakfast. For falafel, try Falafel Sahyoun, but choose carefully; there are two of them, run by feuding brothers, both claiming to be the original. Ready for another juxtaposition? Ninety minutes drive from Beirut is Faraya Mzaar, a great ski resort with a season that extends into April, making Lebanon one of the rare places where you can swim in the morning and ski in the afternoon. Skyscanner’s top trending destination for 2019 is Hội An, with May being a great month to visit as it usually sees the lowest rainfall of the year. This city is an old trading port with a rich history, where you’ll see the influence of other cultures in the architecture, such as the French colonial buildings and the famous Japanese covered bridge. Aim to be there on the 18th for the monthly lantern festival where hundreds of lanterns float downstream under the full moon. Aside from the impressive architecture and culture, Hội An is also famous for food, with street food stalls and hole in the wall restaurants offering not just a real bargain but also an authentic experience. Try the local favourite cao lầu, a pork and noodle dish made with water from a nearby ancient well. Pride is always a special time in New York but this year the party goes global as the city hosts WorldPride throughout the month of June. Held on the 50th anniversary of the Stonewall Uprising and the birth of the modern gay rights movement, it’s the perfect time to reflect and celebrate. From the Human Rights Conference to Pride Island, an epic music festival on Pier 97 by Hell’s Kitchen, there’s pretty much something for everyone, including rooftop parties, film screenings and the legendary Pride march itself. Then try one of New York’s latest restaurants, Manhatta. Part of the empire of prolific restaurateur, Danny Meyer, it offers some of the best views in the city – 60 stories up, with floor-to-ceiling windows. Plus the prices are surprisingly down-to-earth with three courses for just $78 USD. the best flight deals along with great prices on the best hotels and on car hire. This article hasn't received any reviews yet. Be the first to review this article! Sign Up To Our e-Newsletter And You Could Win! Subscribing to UltimateTravelMagazine.com is FREE and gives you a range of benefits over casual visitors. For one, you will receive our monthly newsletter with travel tips and hints, but as a subscriber you will also have exclusive access to our regular competitions. Don't be concerned about security - our subscriber list is 100% private. You won't be bombarded with emails from us or any third parties, as we don't sell your information to anyone. After you've subscribed, you'll be automatically transferred to our home page and receive email confirmation. Copyright © 2009 - 2019 UltimateTravelMagazine.com All Rights Reserved.